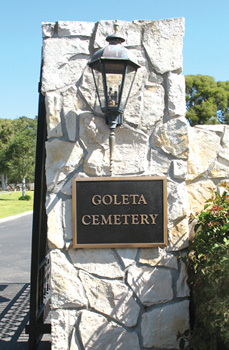 Goleta Cemetery is a "District" cemetery, supported in part by the residents and taxpayers of the District. We will be in strict compliance at all times with the CA Health and Safety Code, Sections 9060 and 9061, which mandate the residency requirements, and "Out of District" eligibility requirements, for interment in a District cemetery. If you have any questions, please contact us and we will help you to determine eligibility.